, All products , Eko from All Instruments Ltd. In this case the DUO is not formed by two people but from the union of the musician and his instrument. The instrument itself becomes part of the DUO and the new rosette is trying to communicate/express this double thread tie which links the guitarist and his guitar in an inextricably way, the sinuous curves of the headstock and bridge are represented in the new Rosette DUO, that intersects them together. The EKO philosophy of offering fantastic quality/price ratio, finds the DUO and DUO Flamed+ the perfect connection of aesthetics and attention to detail. This series which come in two versions (equalized and not), pays a lot attention on the aesthetics of the instrument, even though they are entry level instruments, they are a pleasure for the eyes. With a very stylish design they offer a round and rich sound. Often, in addition to the passion and love for music, what gives enough determination for a musician to succeed is the EGO. The same EGO that mirrored the E of Eko, which gave the perfect number 3 for the acoustic instruments catalogue, is the EGO that wants to realize the dream. The names we give to each model in this series is the Dream we described at the beginning. STAR, whether it is a Pop or Rock Star there is no doubt that the shape to which we associate a Star is the Dreadnought shape. ICON, the idols who made history, speaking about guitar players they are often associated with shape’s such as the zero 0, 00, 000, and the OM . This is why the name of our EGO ICON is the OM shape. LEGEND, photos that bring the sense of Legends are black and white, the legend of guitarist’s who sold their souls, is often started by playing a guitar with the Parlor shape. For EGO series, focus is totally on the producing guitars to the highest quality possible. Inside the catalogue called “3 - acoustic instrument” the EGO series represent the absolute maximum in terms of human contribution and guitar building. Since 1959, Eko was for many the FIRST guitar, with millions of people starting to play holding an EKO guitars in their hands. Eko has always been recognized throughout the world for excellent price quality ratio. This first series of acoustic instruments are intended to be not only the first, but also the N(e)XT guitar in the development of a musician ’s path... One step forward, a little more... a little farther. A series of instruments with 100% EKO characteristics. 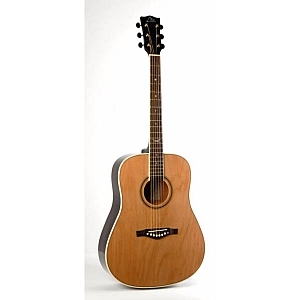 Entry level guitar’s very affordable, made with great care for detail and quality, that make the NXT series an ideal first guitar, but also the &qupt;next" that guitarist wants to have. The rounded/smoothed shapes of the 2014 headstock and bridge are a good match to the "straight cutaway" particular to EKO. The oval shaped hole, although coming from the late 60s, becomes wonderfully modern when applied to the NXT Nylon and Gipsy. This series offers to the more demanding musicians a selection of Solid Top guitars designed with the focus on performance. The musician, the instrument and the sound, an indissoluble TRInity. The cutaway used in this series is the American Style Cutaway, which is softer and curvier. This style of cutaway is also used for the Evo series, while the other series make use of the `Straight CW` used by Eko in the 60s. 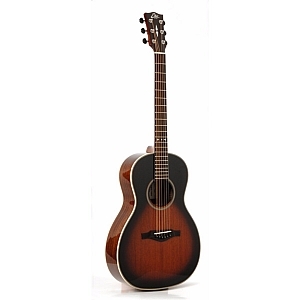 The TRI series combines a Spruce solid top with Mahogany back and sides, with fretboard and bridge in rosewood. This combination provides a penetrating and accurate sound, with volume, even with the Mini version suitable for both, children and those looking for a big sound in a portable size. 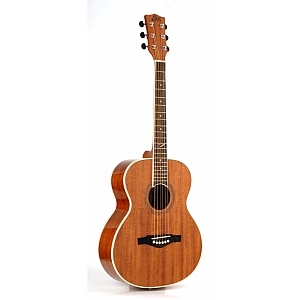 Cutaway versions are fitted with the EKO G03 in-house designed EQ, capable to bring everything you want to the stage.